Selfie phones are trending now a days and some of the manufacturers are concentrating on making phones with a powerful selfie camera, like Canvas Selfie, HTC Desire Eye or Sony Xperia C. Moving along the same path Infocus has launched their new Infocus M530 phablet in India dubbing it as “Mother of all camera smartphones”. The Infocus M530 has a whooping 13MP rear and front camera combo for great photos and selfies, and also pretty powerful in terms of specs, and the specs is pretty similar to Micromax Canvas Nitro which has also got similar specs, but smaller display. 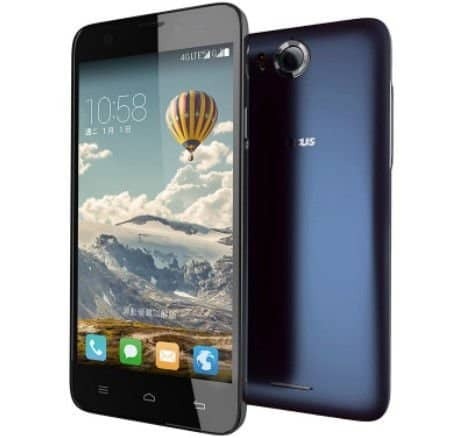 The Infocus M530 has a 5.5-inch HD display, and boasts of a Mediatek MT6595 octa-core processor , clocked at 2.0GHz, coupled with 2GB of RAM and 16GB internal storage, though there is a MicroSD card slot for storage expansion. The most interesting part about the device, is the camera combination. The front camera has a F/2.2 aperture and 80-degree wide angle lens, and it has LED flash support. That’s not all, the front camera also has autofocus, which is one of the best things that you can get from a selfie camera. The rear 13-megapixel camera has F/1.8 aperture and Dual LED flash. The camera also have Optical Image Stabilization. The Infocus M530 runs Android 4.4 KitKat, and a 3100 mAh battery is packed in. The phone comes with Gorilla Glass protection provided to the display. Connectivity options include 4G LTE on one SIM, and 2G on the other, along with Bluetooth 4.0, Wi-Fi, and GPS. Priced at Rs. 10,999, this seems like a very good smartphone for the camera combination included, along with 4G LTE connectivity. This is the same processor that was included in Lenovo Vibe X2 that was launched at Rs. 20,000. 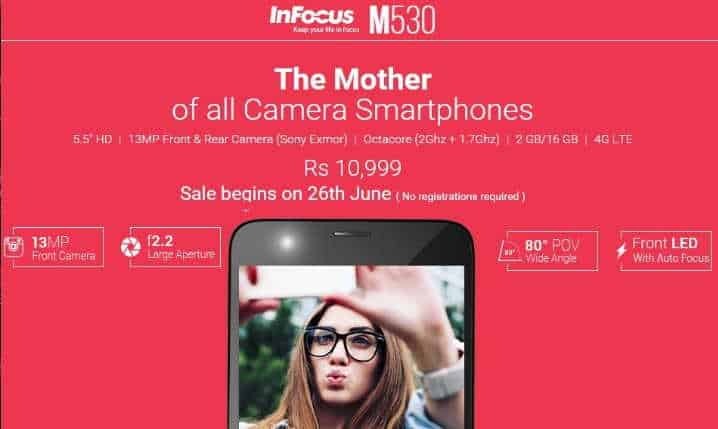 But in case of the price, Infocus M530 is a great deal, as it combines power, performance and also an excellent camera combination. The phone will go on sale on 26th of June on Snapdeal.